On July 1, 2017, Dr. Knox became the Assistant Superintendent of Educational Services for Ojai Unified School District. In this position, she organizes and coordinates curriculum, instruction and assessment operations for the K-12 continuum. Additionally, Dr. Knox coordinates district programs for English Language Learners and struggling students who need intervention or remediation. In addition, she oversees district accountability and Title IX compliance. Dr. Knox grew up in the Ojai Valley and attended Ojai schools starting in 5th grade at Mira Monte Elementary School. She attended Matilija Junior High School, and she is a proud graduate of Nordhoff High School. 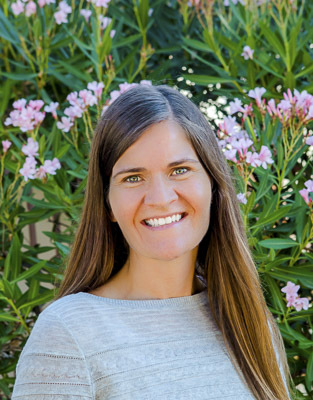 She earned a Bachelor's Degree in Spanish at the University of San Diego and returned to Nordhoff High School to teach both Spanish and English. During her time at Nordhoff, she also served as a class advisor, reading intervention teacher, and she taught English as a second language in the adult education program. Additionally, during her time at Nordhoff, she attended California Lutheran University where she earned her Master’s Degree and Doctoral Degree in Educational Leadership. Due to declining enrollment, Dr. Knox left Ojai Unified and began her career as an administrator in Simi Valley Unified School District. She worked at Simi Valley High School as an activities director and then as an assistant principal for a total of five years. She served as the principal of White Oak Elementary School for the next four years. She greatly enjoyed her experience in SVUSD; however, she had always wanted to work and raise her family in Ojai. In 2014, she was able to return home as the Principal of Topa Topa Elementary School. Dr. Knox resides in the Ojai Valley with her daughter and son. Both children attend schools in OUSD. The family is thankful and happy to be back in the Ojai Valley.